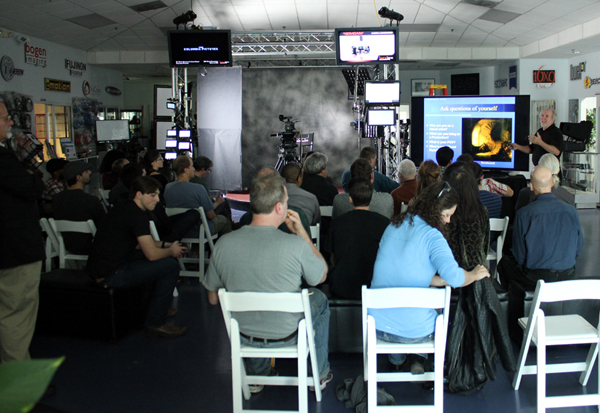 Band Pro’s Burbank Headquarters held an LED lighting workshop hosted by DP Robert Draper, ACS on Thursday 1/23. Rob Draper,ACS discusses Rembrandt during the demo. This entry was posted in Lighting and tagged Alexa, arriflex, Band Pro, cinematographer, digital cinema, director of photography, Dracast, Fill-Lite, Jeff Cree, Rembrandt, rob draper acs. Bookmark the permalink.